Know us before you need us! 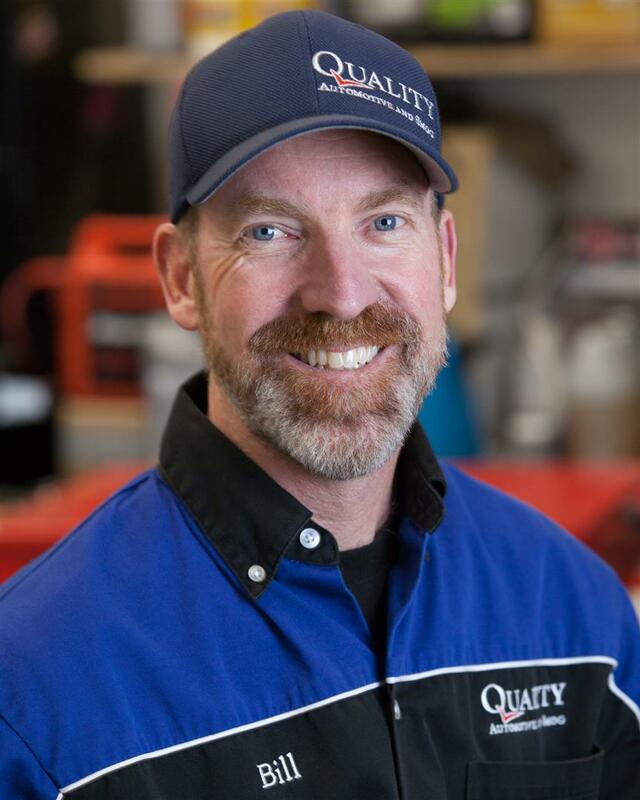 Quality Automotive and Smog in Truckee has a stellar team of the most qualified ASE-Certified auto mechanics and other professionals you could hope to find up here in the mountains. Sheila and Bill Greeno took ownership and began this grand adventure in 2009 with the mission to provide you with the very best in auto repair services, a positive and warm experience that is unrivaled by other auto repair shops and dealerships. Check out our team members below. We are proud to call them the Quality Automotive and Smog “home team”. Bill is proud to serve the Truckee/Tahoe Community with a shop that offers the highest level of expertise and integrity at every level of automotive repair and service. His philosophy for providing excellent service includes continuous training and advancement of employees. 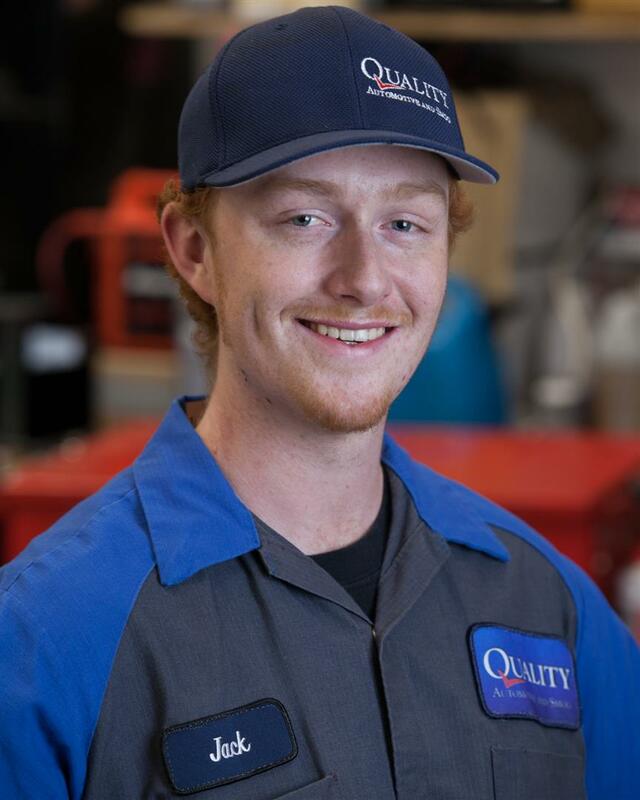 Building a cohesive and invested team is what allows QAS to stand out as be known as Your Trusted Local Auto Care. Bill is also an industry business coach, management consultant and speaker for the Industry For Automotive Business Excellence. Each year he teaches classes at the WorldPac STX Expo. Bill also serves on the Board of the Truckee Chamber of Commerce. Bill and his family spend their spare time skiing, mountain biking and participating in shooting sports. Bill owns two Dodge trucks, VW Tiguan, VW Pasat and a GMC Sierra Diesel. His first vehicle was a ’73 Chevy Vega. Sheila Greeno is Co-Owner of Quality Automotive & Smog making it a WOB (Woman Owned Business). Her highest priority is to ensure customers have the best automotive service experience possible. Sheila knows that effort starts with her and Bill and the fantastic staff they have recruited and hired. Her background is in Marketing and Public Relations, but she is more passionate about serving in the community. he has been a committed Girl Scout Leader with her daughters over the years and is currently dedicating her time to working with the KidZone Children’s Museum to help them grow and prosper. She started volunteering with the discovery museum when her children were little and now is in her second term on the Board of Directors; helping them with their capital campaign to get into a larger facility to serve Truckee’s growing population of families. Sheila is also a volunteer driver with Meals on Wheels. She started this with her oldest daughter to introduce her to volunteerism, but her love of making a difference with the local senior population has kept her hooked. Sheila knows how much people here in the mountains rely on their cars and she values owning a shop that doesn’t cut corners or provide anything less than premium servicing. Having lived her for more than 30 years, Truckee is home to Sheila and her family and she is rewarded by making a difference both through a respected business and community commitment. Kevin is our So Cal transplant who is known around the shop to always have a smile on his face. He is a Universal Technical Institute graduate and our master BMW technician. Kevin joined the team in 2017 and brings with him seven years of BMW dealership experience and two years as a German Import specialist at an independent shop. He has a passion for servicing performance imports and is a natural under the hood of any vehicle. Kevin landed in Truckee with his wife while searching for a specific snowboard for his vintage collection. He found more to love about Truckee than a snowboard and decided to stay. As part of the Quality Team, he likes being able to continue his training and stay on top of technology. Of course he owns a few vehicles; an 1988 BMW 325is, 2004 BMW x5 and 2005 Mercedes ML350. His dream car to round out this quiver would be a 1994 Ferrari F512m. Kevin enjoys hanging on the docks with "Hooper" his border collie mix and snowboarding at Sugar Bowl. Bud is our “FUN” representative. She has a passion for fun which makes her a good front dog for the Red Check Club. She likes to run, hike, and play fetch, and take long swims at Donner Lake. Bud is a great agent for the Red Check Club because she is a Truckee local that likes to get outdoors, much like Quality Automotive and Smog customers. 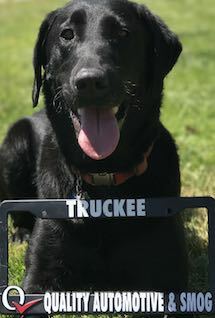 As a Red Check Club member, Bud receives a "Truckee" license plate frame and benefits such as a complimentary lift ticket. Club members also enjoy use of the e-bike (electric assist bike). Additional benefits include free local towing, extended local warranty (3 years & 36,000 miles) and seasonal benefits like 2 for 1 wiper blades and car washes. Bud likes to change things up so stay tuned for new benefits for Red Check Club members. Maggie is one of four team members who are Truckee High School graduates! She joined the team in 2019 and instantly brightened up the process of getting a smog check. Coming from a family that loved to work on cars, she was pulled into helping rebuild a few engines in her youth and knows her way around under the hood. With several years of customer service experience, Maggie is a natural relator when working with customers. She enjoys the interaction and solving problems. In her off time, Maggie enjoys dirt biking and camping. She loves her hometown of Truckee and the fact that there is a lake in every direction. Maggie’s first car was a 1995 Subaru Legacy that she finally sold with 280,000 miles. Maggie now drives a 2004 Toyota Forerunner. Do you like sailing? Ask Maggie about her adventurous childhood sail to Hawaii. 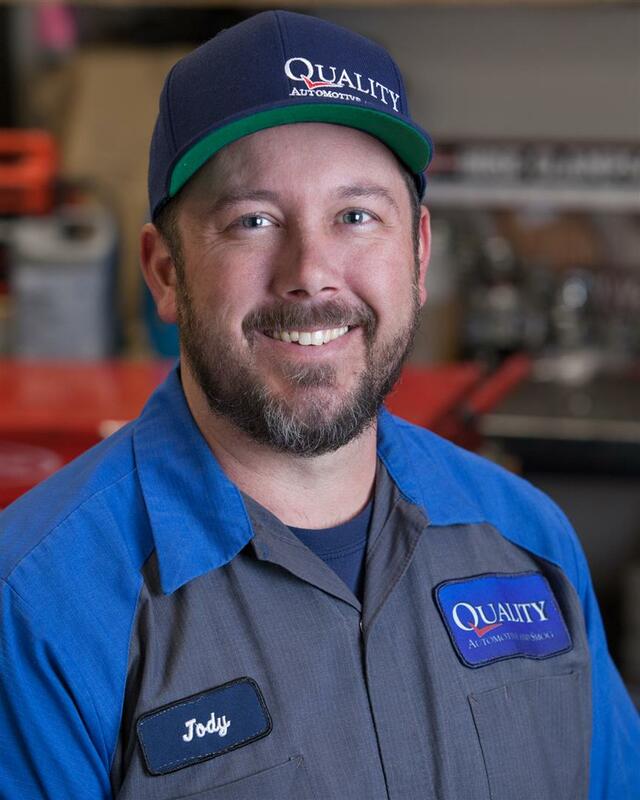 Gary is that friendly face you encounter as soon as you enter Quality Automotive and Smog. As an all-around team member, Gary covers the front counter, performs some services and is the employee you can count on to explain your vehicle service. Gary graduated from Truckee High School and went on to attend Universal Technical Institute earning a certificate in Automotive and Diesel Technology. 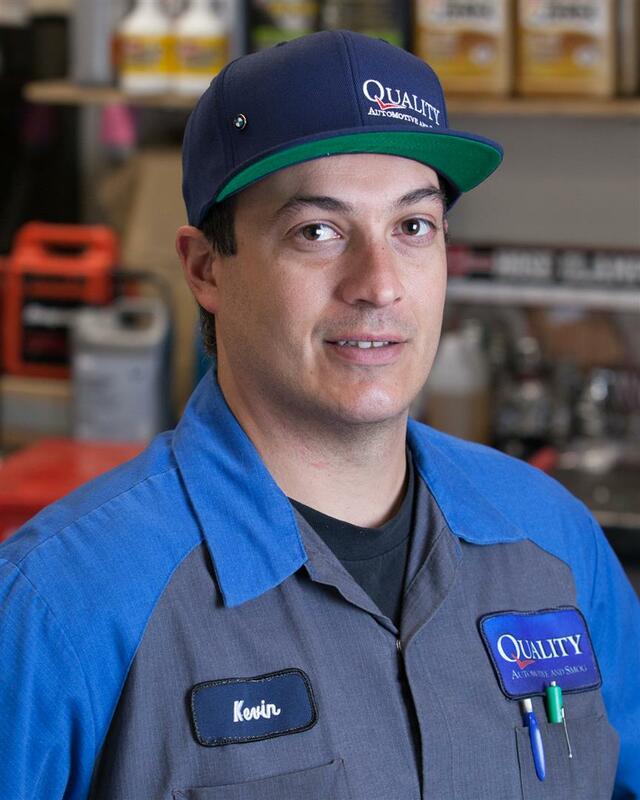 Since joining QAS he has earned his ASE A6, A8, L1 certifications, become a Licensed Smog Test Technician and attended numerous classes in customer service, service writing and management. Growing up in Truckee, he naturally enjoys snowboarding, wakeboarding, and skateboarding. Gary also acts in local productions and plays bass and drums. You might see Gary off-roading in his 1988 Toyota pickup, which was his first vehicle, and commuting in a 1998 Subaru Legacy. 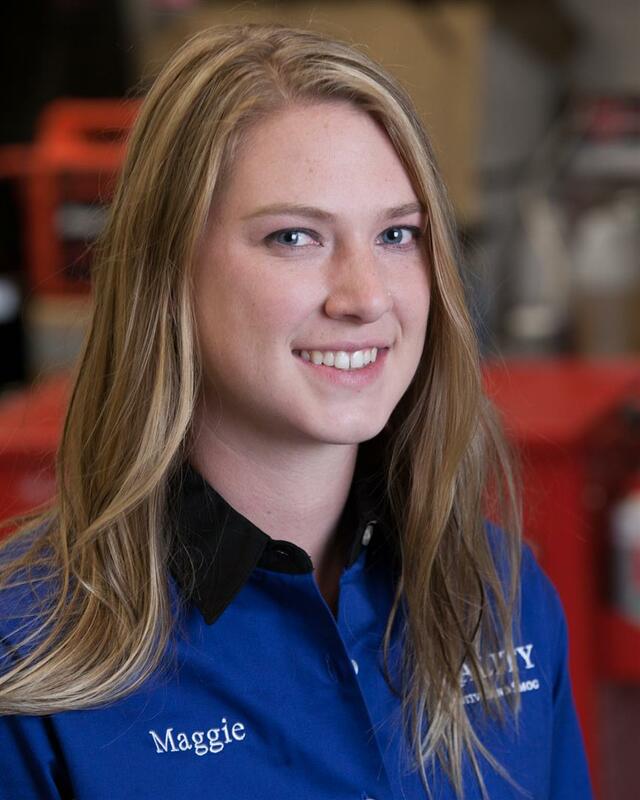 In 2014, we welcomed Jody Cilmi to our team of technicians. Jodi grew up the son of a repair shop owner and as a teen worked beside his dad and rebuild his first engine while on summer break. 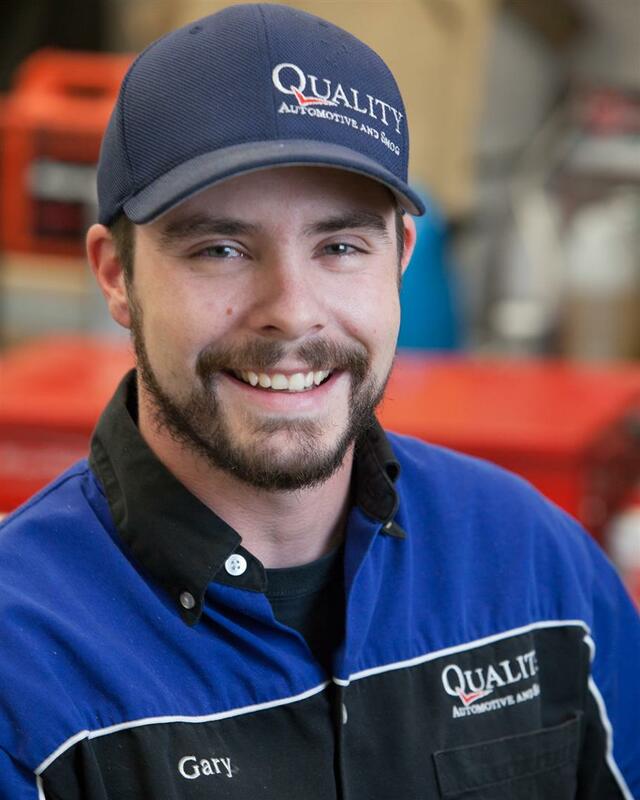 Since coming to QAS, Jodi has earned his A1, A4, A5, A6, A7, A8 and L1 certifications and is just steps away from becoming a Master Technician, the highest level of certification. Jodi says he enjoys the opportunity to further his education and expertise at QAS and likes the fast pace of the work. Jodi is also a licensed California Smog Test and Repair Technician. In his time off, Jodi enjoys spending time with his wife and young daughter. He is a whitewater enthusiast, skier and mountain biker. He claims that he has a Tesla hidden in his garage but he commutes to work in at ’95 Toyota Pickup. His first car was a Honda hatchback… with sub-woofers. Mark or "Jake" has lived nearly his entire life around and under cars. He has over 40 years of experience in automotive repair and servicing. Mark is an expert on diagnosing and maintaining German Imports having worked on these vehicles extensively over the last three decades. Mark is an ASE certified technician and holds numerous licenses and certificates. Mark enjoys spending time fishing, paddle boarding and enjoying the outdoors with his two boys. Mark drives an Audi Allroad. His first car was a 1963 Dodge Polara, orange with black racing stripes. Jack Walterscheid joined QAS as a Junior in High School and is a real asset to the team. He is currently attending Truckee Meadows Community College studying Automotive Technology. Hired as an shop assistant, Jack was eager to learn and has shown a natural aptitude automotive diagnostic and repair. He aspires to be a master technician and is learning all that he can about the business both as a service advisor and under the hood. Jack is a very talented technician and enjoys the atmosphere and the opportunity to train under a master technician. Jack is a third generation Truckee/Tahoe local with strong roots in the community. His interests include shooting sports, offloading and dirt biking. One of his favorite spots in Truckee is the Boca reservoir where he can do all those things. Jack's first and current vehicle is a '03 Chevy Silverado 2500HD, and his "dream car" is a 77 Trans AM.